My dear friend Lucy and I used to spend many happy hours browsing the auction house in Diss, Norfolk. Come rain or shine, we would go and explore the rows of mahogany dressers, scrubbed pine farmhouse tables, ornate mirrors, mostly pieces that had come from the corner of a barn and were still covered in cobwebs. Some of it was in perfect condition, but much of it needed a little TLC. There was a real thrill in finding something that looked like it had seen better days, yet we knew that once cleaned up and painted, it would be beautiful. 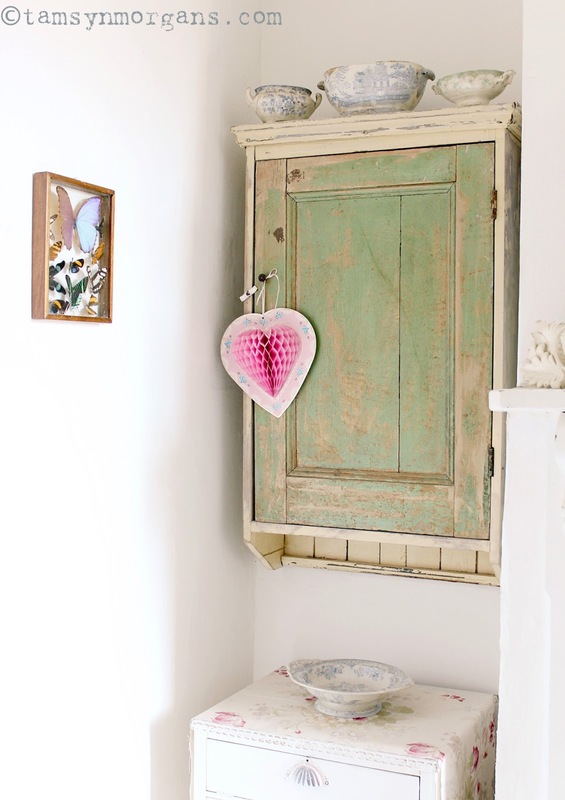 We purchased many gorgeous pieces back when we used to sell our furniture that we lovingly sanded down, painted and distressed. Needless to say, on our treasure hunting missions we would often find pieces for own homes. 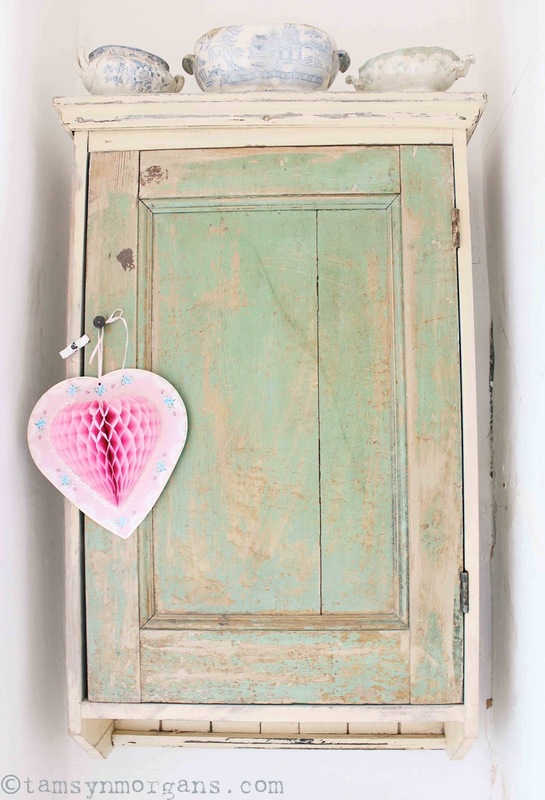 I fell in love with this chippy green cabinet as soon as I laid eyes on it, it’s imperfections part of it’s charm. It has the perfect amount of wood showing through, faded and worn, and that shade of apple green is just delicious. Previous Post Happy Birthday Your Majesty!